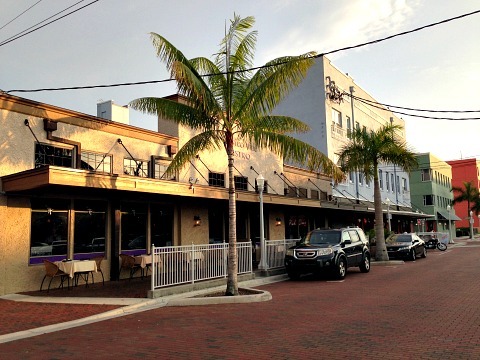 I love the downtown area of Fort Myer's River District ........ it's so charming and there's lots to see and do. 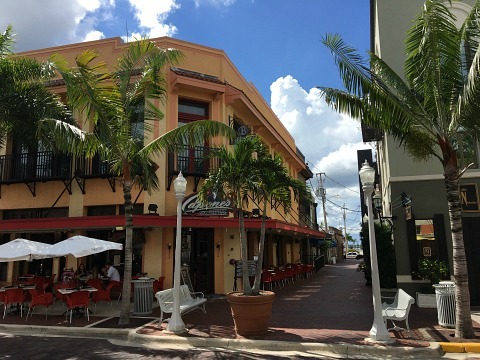 Spanish-style buildings of many colors with wrought iron balconies that adorn cobblestone streets dotted with fountains, sculptures, palm trees, and cafe dining. 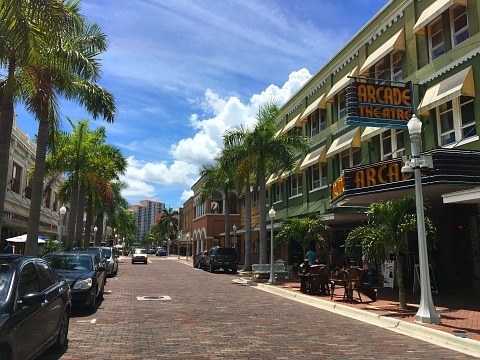 It's a lovely walk whether you are strolling around the shops, over by the park, or by the basin on the Caloosahatchee River where you can look at the boats, get a massage on the salon boat, or catch a dinner tour on a refurbished paddlewheel boat. 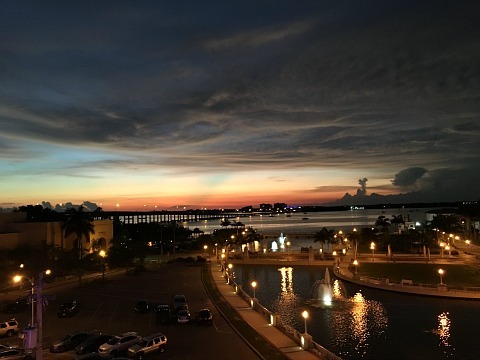 Centennial Park and the Harborside Event Center are a short walk away. 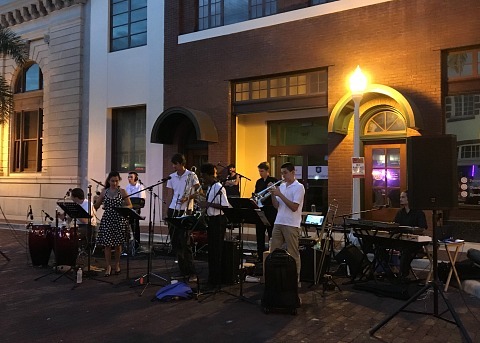 I love to go to their Art and Music Walks, each happening on the first and third Friday nights of the month, year round. 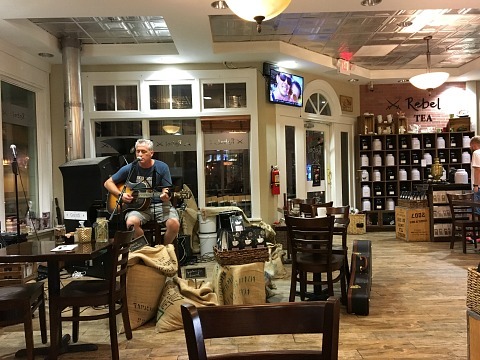 All types of cultural events are available to attend at the Sidney and Berne Davis Art Center, located in the old Post Office. 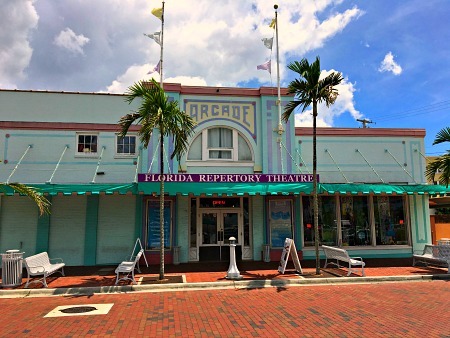 Go to comedies, dramas, and musicals, or take a class at the nationally recognized Florida Repertory Theatre. 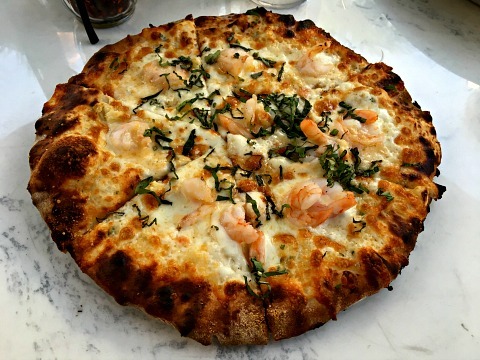 Get the Coal Fired Gamberetto Shrimp Pizza at Capones ......... complete yumminess! 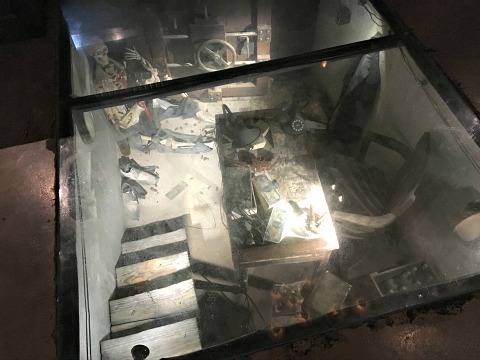 Make sure you look in the floor at the mock set-up of Capone's found missing treasure. 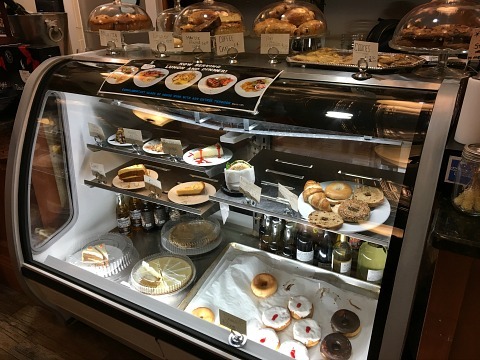 Also on the menu are salads, coal fired sandwiches and calzones. 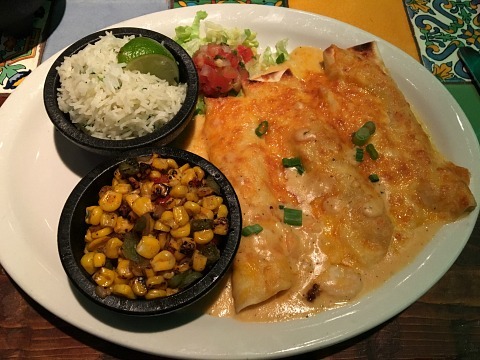 You'll enjoy the amazing Seafood Enchiladas at Los Cabos Cantina Mexican restaurant, served with flavorful Lime Cilantro Rice and Roasted Corn and Peppers. 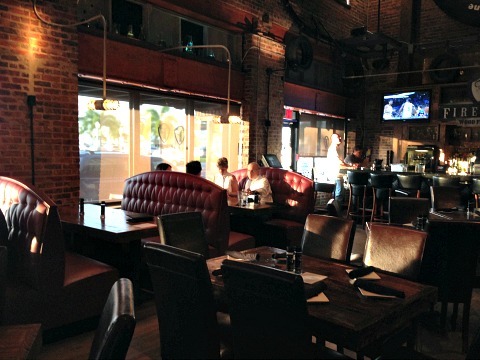 Sit inside or out. 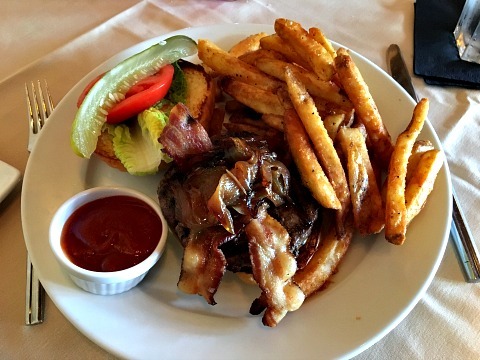 Try the Twisted Vine Burger at the Twisted Vine Bistro ...... topped with applewood smoked bacon, caramelized onions, brie cheese, and whole grain mustard aioli. 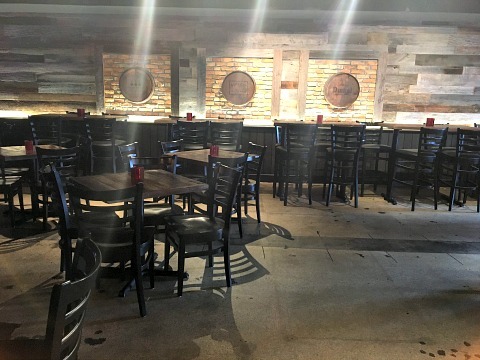 Go for lunch, dinner, brunch ......... and wine in their barrel room! 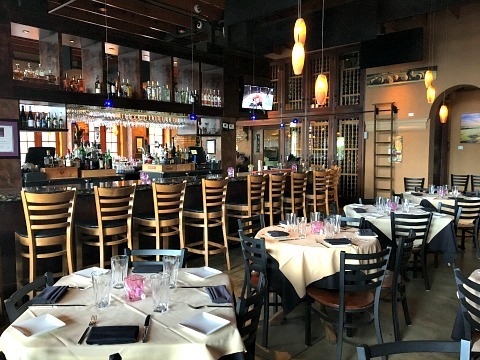 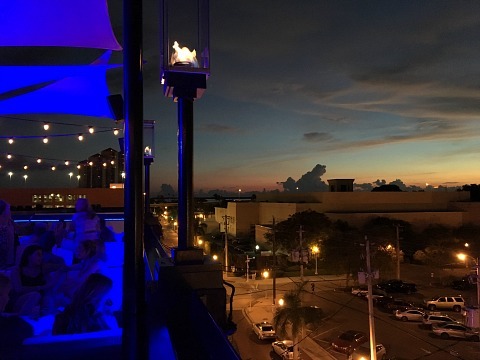 The food is soooooooo good at The Firestone and after your meal, you can enjoy drinks, appetizers, dancing, and sunset at their Skytop bar. 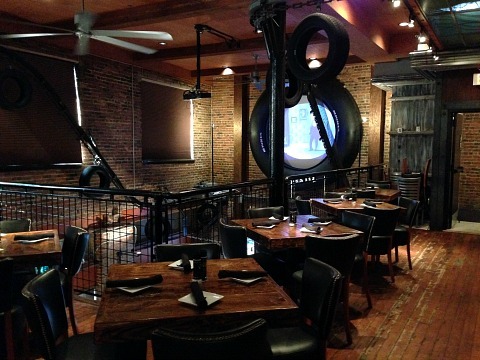 Dine in the Grille Room or upper Loft ...... both are decorated tires in a Roaring 20's setting. 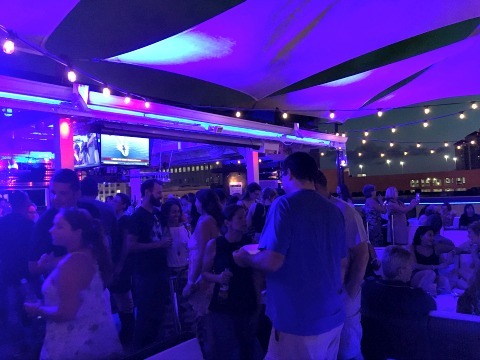 Enjoy drinks in the Martini Bar, try to nightly specials, and ladies ...... get your friends together for Ladies Nights on Wednesdays. 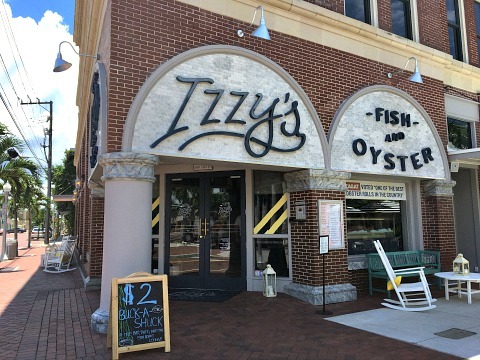 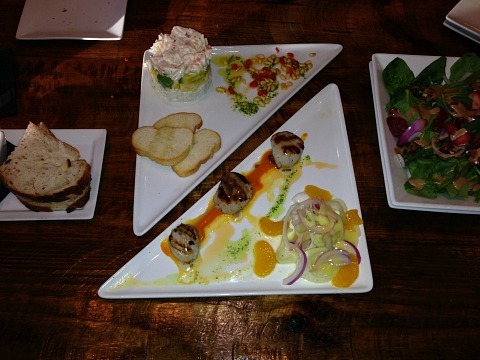 The new kid on the block is Izzy's Fish and Oyster ..... serving up New England-style seafood dishes. 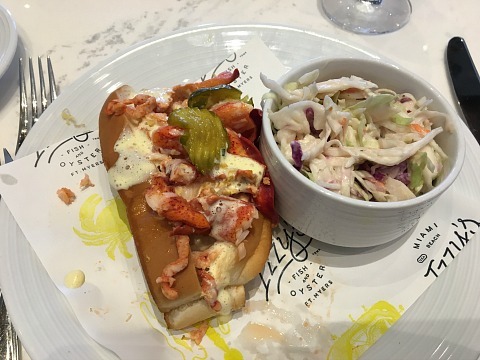 I had their award-winning Lobster Roll ....... best one I've ever had! 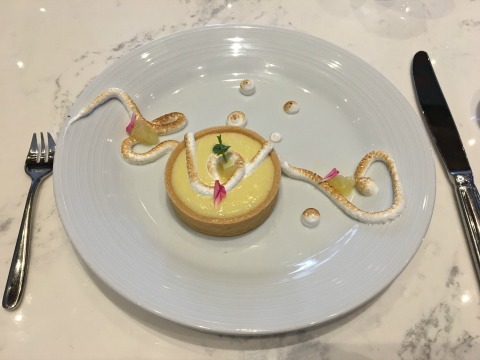 I finished my meal with a Citrus Meringue Tart ..... mmmmmmmm. 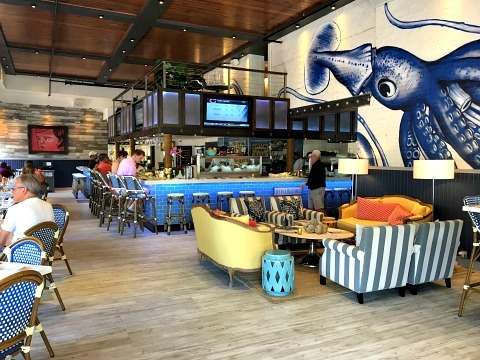 Go for lunch and dinner, cocktails, raw bar, and don't miss their nightly seafood specials. 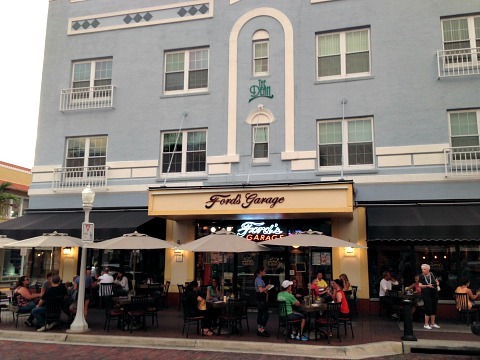 Also in the mix is Ford's Garage ............ you can read my review of the one in Cape Coral. 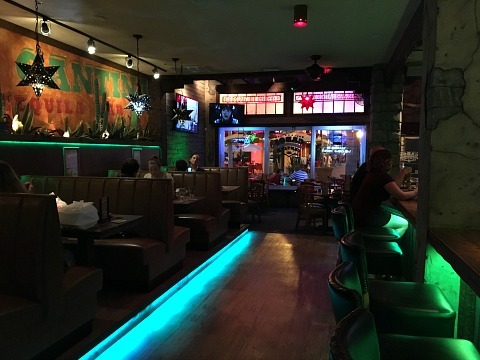 Try one of their fabulous their burgers! 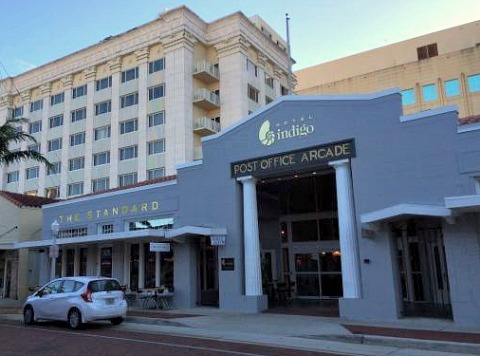 Hotel Indigo is a boutique hotel on one of the side streets off of First, boasting lovely rooms, several restaurants, and lovely views from their skytop bar. 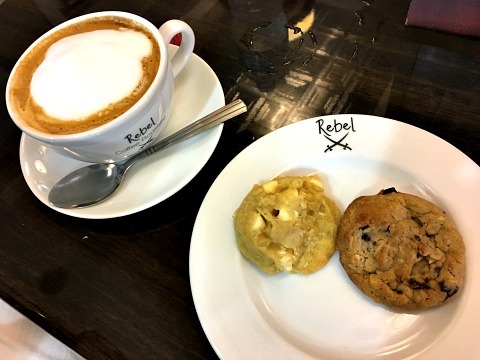 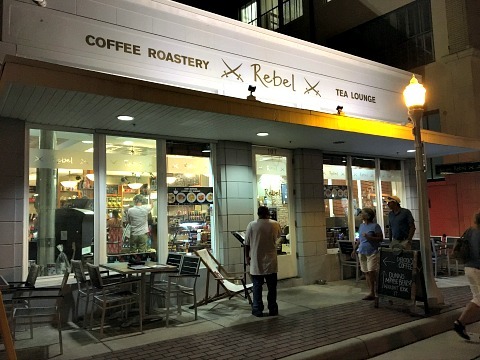 One of the hotel's restaurants is Rebel Coffee Roastery & Tea Lounge, serving coffee, tea, cookies, pastries ..... and open mic nights on Friday nights. 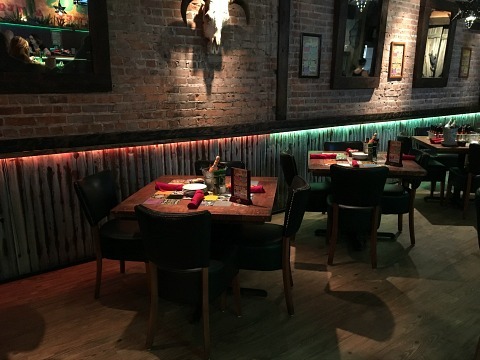 You can also go for breakfast, weekend brunch, lunch and dinner. 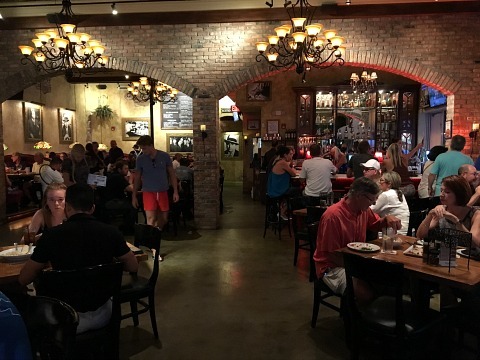 There are many more restaurants to go to such as The Lodge, City Tavern, and Downtown House of Pizza ..... along with several more bars. 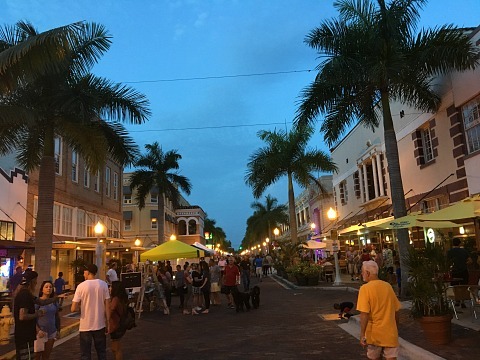 Clothing boutiques, antique and vintage shops, gift and jewelry stores, art galleries, and Naples Soap Company are some of the options available for shopping. 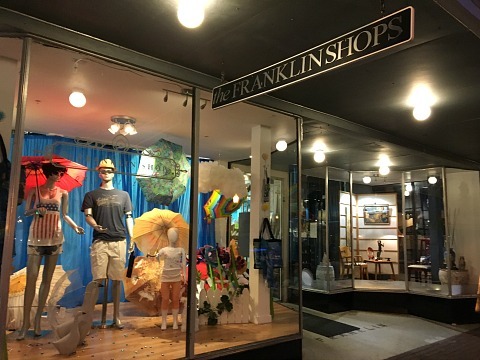 The Franklin Shops features many artists and artisans who rent small spaces to show and sell their wares that you'll definitely want to check out. 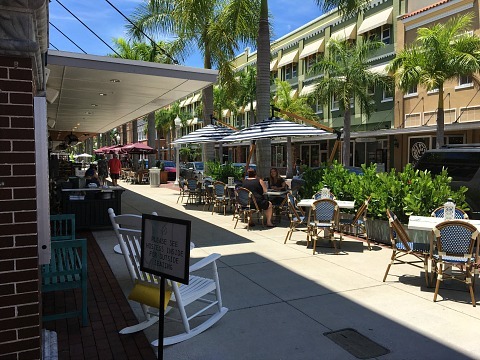 Not too far away is The Butterfly Garden with gift shop and restaurant, and the Wisteria Tea Room. 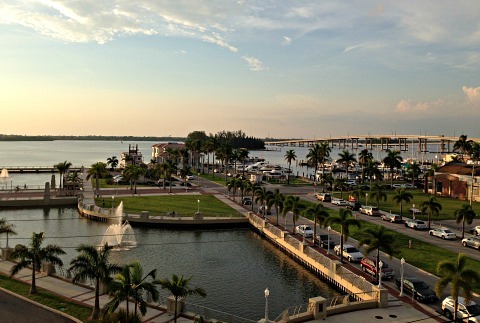 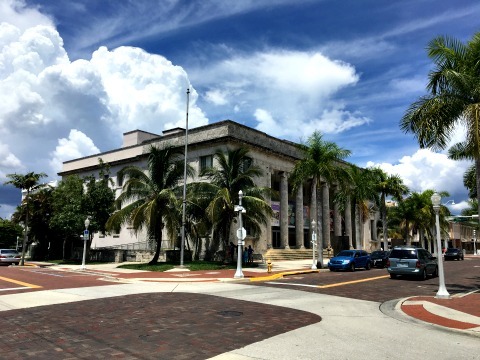 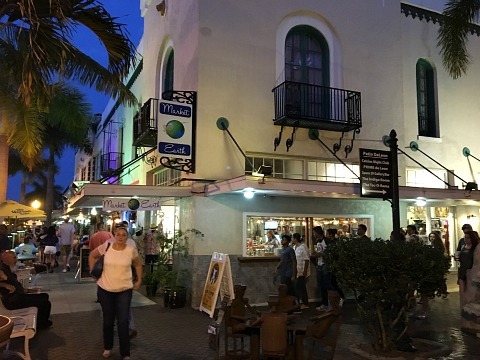 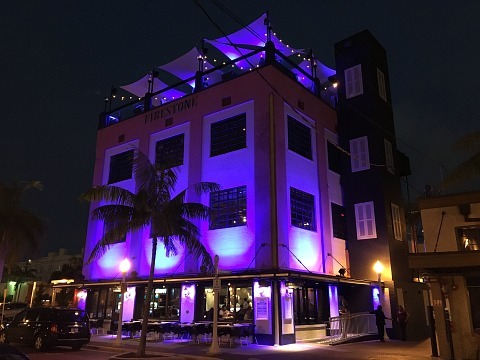 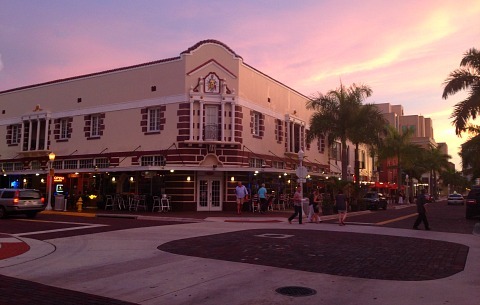 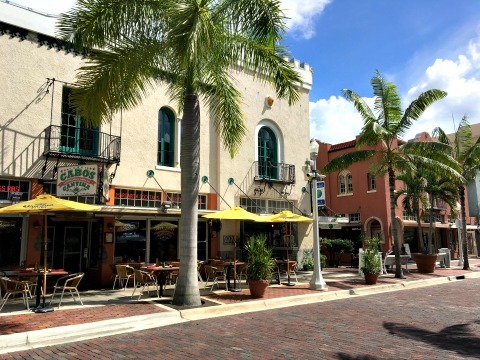 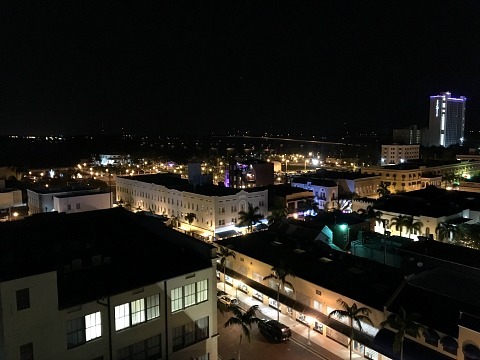 Downtown Fort Myers is not to be missed ........ you'll want to back over and over again!